One of our favorite things about living in Austin is being just a short drive away from the beautiful landscapes, crystal clear rivers, and historic towns of the Texas Hill Country. Last weekend we decided to take advantage of it, so we packed up the car and headed out to Garner State Park. I have camped at Garner a couple of times and I love the combination of the gorgeous, tree-lined Rio Frio, as well as the miles of hiking trails that actually involve a little bit of elevation (a rare find in Central Texas). After a fun but rainy night in Garner, we spent Sunday eating our way around the adorable town of Boerne. 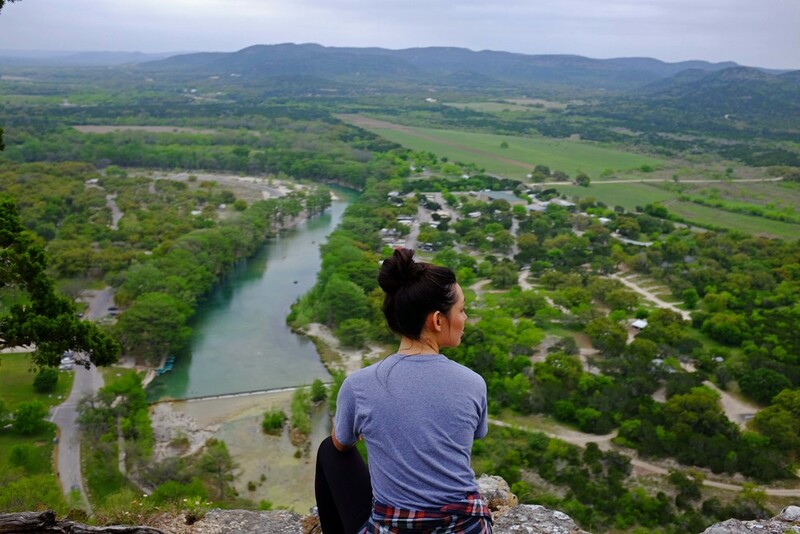 Take the short (but steep) 10 minute hike up to the top of Old Baldy for an incredible view of the Rio Frio winding through the hill country below. 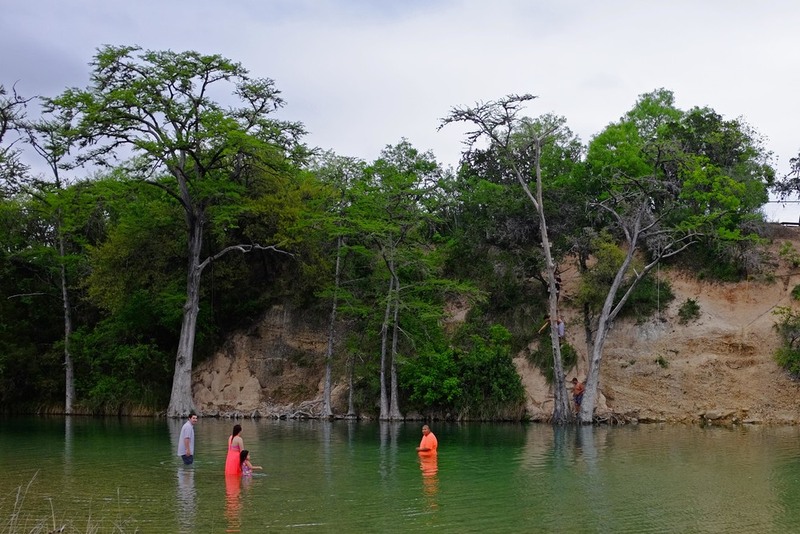 If you are lucky enough to be at Garner when the weather is nice, do what the the pros do...Fill a thermos with cold beer, grab an inner tube, and float around on the Rio Frio while watching folks attempt to do flips off the rope swing. I always pack a lighter, I always pack hot dogs, I pack smore stuff, I pack pots, I pack pans... but somehow every single time I forget firewood. I get to Garner, night falls, and I realize I have nothing to make a fire with. I end up going to the gas station down the road and paying $12 for a couple pieces of scrap wood, like a jabroni. The Dienger Trading Co in Boerne, TX, which opened for business just last fall, is a beautiful renovation of an historic Boerne building. As soon as we drove into town we noticed The Dienger patio was bustling with hip looking folk enjoying their brunch and we knew it would be something worth checking out. The interior was impeccably designed and the coffee specials were great. We didn't have a chance to eat a full meal, but seeing the tasty plates on other tables we decided that we definitely would have to come back in the future! 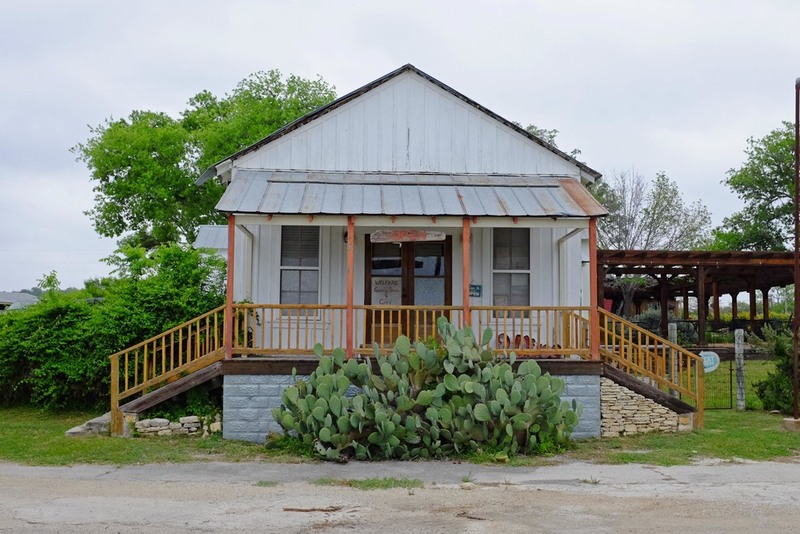 The Welfare Cafe is an original 1880's post office-turned-general store-turned-german american restaurant located on a scenic country road 10 minutes North of Boerne. The back patio is comfy, the wine is plentiful, and the schnitzel is delicious.